Property financing for foreigners in Thailand is possible. When we buy a property back home, one of the first things we would think of is financing. Even for those who have sufficient funding and liquidity for an acquisition, financing is often seen as a means of leveraging our investments. For buyers with less access to funding, financing is an indispensable vehicle they use to own that dream home. In this instance, Thailand is the same as any other country. Most of the financial institutions in Thailand provide loans for real estate purchases to local Thais and Thai companies based on similar criteria we are used to in our home country. However, the similarities do end there for most foreigners buying property in Thailand. Foreigners generally cannot mortgage properties in Thailand. In fact, mortgage lending by local banks to foreigners was virtually unheard of in Thailand. Nonetheless, in recent years we have seen a slight shift in policies to allow foreigners limited access to financing. This was instigated, in part, by the Thai government’s eagerness to promote tourism and to encourage economic growth in Thailand. This was introduced during the high growth period of the past five years leading to Thailand’s current climate which can now be best described as moribund. Despite this, the momentum gained from the past few years has meant that some Thai banks do offer financing services to foreigners but impose rather strict terms and conditions on their availability. The most important condition is that the property has to be held in the foreigner’s own name and the property has to be registered as a condominium under the Condominium Act since foreigners are restricted to purchasing only these types of properties in Thailand. 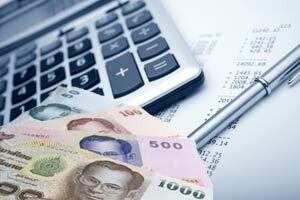 Terms of offer for loans in Thailand are dependent on the policies of the Bank of Thailand for each fiscal term. This is also dependent largely on each bank’s own business strategies which also vary year by year. Banks in Thailand normally provide personal loans to individuals and this includes credit card facilities, business loans, personal loans for education or medical treatment as well as personal loans for general use such as the purchase of a condominium, renovations, car purchases and so on. These facilities are, subject to each bank’s individual policy, available to foreigners who have lived and worked in Thailand for a number of years. In order to obtain these personal loans for the purchase of a condominium, certain conditions must be met. First of all, it is important to note that these loans are generally granted on the fair market value of the property and this is usually based on the bank’s own valuation process. At least a 1 year work permit or a Thai resident permit. A letter of employment indicating their years of service in Thailand and their annual salary. Pay slips will usually be attached to this as well. The applicant’s age combined with the loan period must not exceed 60 years. Applicants must have a stable and secure job. Applicants must have a fixed income three times higher than each installment repayment. The aggregate amortization of loan must exceed 7 years (for some banks). The applicant may also be required to submit the following documents to the bank upon application. Marriage certificate of the applicant and spouse (if applicable). The interest rates for these types of loan are typically based on the MLR or on a fixed interest rate depending on the bank offer at the time. It is also helpful to note that because these loans are offered locally, the interest rates are usually a bit more competitive and it does pay to shop around first. Around the middle of 2005, Thailand saw the emergence of a new financing service offered by Bangkok Bank’s Singapore branch. At this time we saw Bangkok Bank starting to offer offshore financing for foreigners wishing to purchase real estate in Thailand. Up to 70% of the property’s value was made available to foreigners who did not qualify for a local loan. This gave many foreigners access to finance for their dream homes even if they did not reside in Thailand. Up until this time, there were only a handful of private offshore firms offering lines of credit of this kind and often at rather stringent and unattractive terms. Bangkok Bank in Singapore still offers such loans to foreigners and the demand for this is increasing. They are able to tender loans in several currencies including US and Singapore Dollars. Currently, the interest rate for USD loan consists of the prime plus 0.5% which in total stands at 8.75%. A processing fee will also be incurred upon application. Bangkok Bank does insist on meeting the applicants in person and this means you would usually have to travel to Singapore to apply for this. Bangkok Bank was the first bank in Singapore to offer such financing services. However, this year we saw the introduction of United Overseas Bank (UOB) in Singapore jumping on the band wagon and offering similar lending services to foreigners wishing to purchase real estate in Thailand. It is a relatively new scheme for UOB and it was introduced largely as an alternative to Bangkok Bank’s hold on this lucrative market. It is a good thing that we are starting to see some competition in this area and in the future this will hopefully create an environment that would improve the consumer’s position with various banks trying to outdo each other with more competitive rates. At the moment, the terms for a UOB international loan is still very similar to Bangkok Bank with their interest rate currently also at 8.75%. However, it appears their processing fee may be slightly higher but offers the advantage of applying for the loan locally in Thailand without having to set foot in Singapore. UOB’s entrance into this niche market is a welcoming sign to the area of financing to foreigners in Thailand. 1. The mortgager must have the right of ownership of the property. a. LAND WITH TITLE DEED has to be registered at the Land Department or Bangkok Metropolis Land Office (Branch) or Provincial Land Office or Provincial Land Office (Branch) where the land being mortgaged is located. b. LAND WITH NO TITLE DEED SUCH AS NOR. SOR. 3, has to be registered at the District Office where the land being mortgaged is located. Below is a list of several banks in Thailand along with their various policies and criteria on servicing loans to foreigners. You will find the name of each bank and the terms and conditions (if any) for qualification for home financing. Bangkok Bank in Thailand itself does not provide loans for foreigners under any circumstances. Only Bangkok Bank in Singapore provides this service to foreigners. 2. Bank of Ayudhaya PCL. Bank of Ayudhaya does not offer loans to foreigners at this present moment. 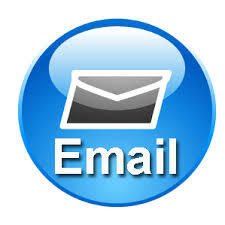 Residence Permit, 1 year work permit, letter of employment, company’s documents or other pertinent documents upon request. Condominium 70% of the value and Land and House up to 80% of the value. An amortization period of 7 years. Kasikorn Bank does not offer loans to foreigners at this present moment. 1 year work permit, consideration based on rate of salary, background check for the employment and credit rating. The foreigner can receive a loan for a condominium or house. A joint loan can only be obtained between blood relations. Amortization period of between 5-7 years. For personal loans, SCB only grants credit cards, but not for personal business loans. 2 year work permit or 2 years residence permit, passport, letter of the employment, payment slip and other supporting documents requested. If the foreigner has some added security finance, this will be an added appendage for the banks to consider. If the loan is for landed property, a foreigner will only be able to obtain a loan if they apply jointly with a Thai spouse. A loan for landed property can be obtained by a foreigner if it is applied jointly with a Thai spouse. UOB has launched the new International Home Loan Scheme for Thailand to allow foreigners access to financing when they wish to buy condominiums in Thailand. This is a joint financing program between UOB in Thailand and UOB in Singapore. Loans will be obtained in UOB in Singapore and secured by SBLC which will then be issued by UOB in Thailand which will in turn register the mortgage locally. UOB in Thailand suggests that the entire application procedure can be done within Thailand without the applicant going to Singapore. Tisco will grant loans for foreigners based on the market value of the property: offers lending for condominiums for up to 70% of its value. 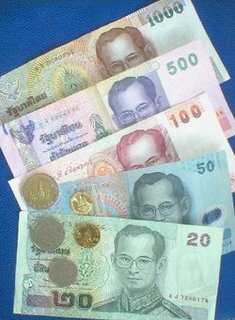 Foreigners can borrow a maximum of 5 million Baht and not less than 700,000 Baht. Amortization rate of 10 years. Standard Chartered does not offer loans to foreigners at this present moment. The information in this table is deemed to be accurate at the publication of this article. We do not accept liability for any loss or damage claimed to be caused by the information provided in this table. It would appear then that financing is gradually becoming more accessible to foreigners in recent years. It remains true that financing for foreigners is no still easy task and is highly dependent on your individual needs and circumstances. Financing terms are still not what we are used to back home and it is certainly not for everyone. Before applying for either a local loan in Thailand or an international off-shore loan from either Bangkok Bank or UOB it is wise to assess the markets first and consult with a reputable financial adviser or lawyer.